If you need a powerful band saw then you can check WEN 3962 Two-Speed Band Saw with Stand and Worklight, 10″. This band saw is the perfect companion for any workshop. 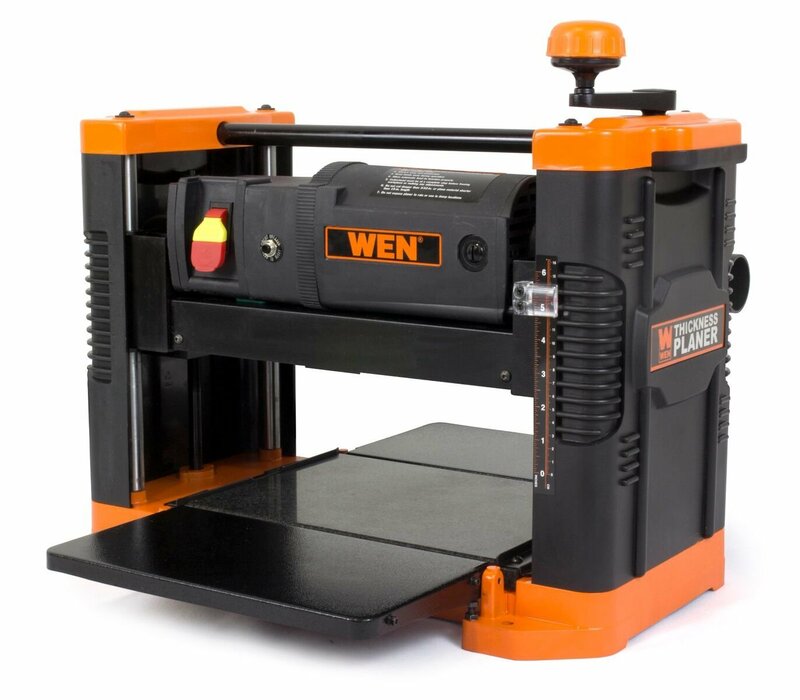 WEN 3962 Two-Speed Band Saw has a 3.5-amp motor and a 9-3/4 inch throat. It has 2-speed operation allowing for speeds of either 1520 or 2620 FPM. WEN 3962 Two-Speed Band Saw uses 72-inch blades anywhere from 1/8 to ½ inches in size for many intricate and powerful cuts. The 2-speed band saw has large work table that measures 14 by 12.5 inches and it can be swivelled up to 45°. It comes with a great light to light-up the working area. 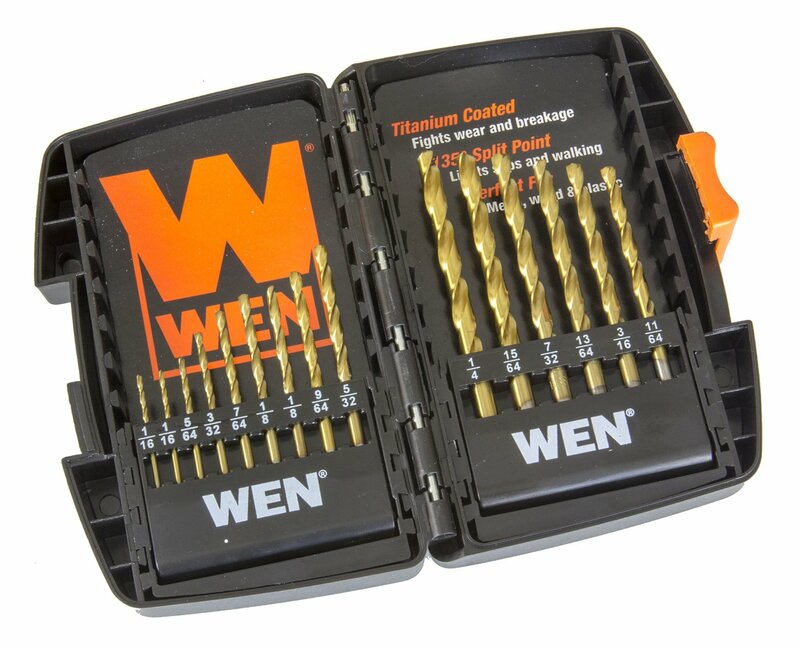 WEN DB15 Titanium-Coated Drill Bit Set has numerous reliable bits for your many drilling needs. Since, it has titanium coating so it increases the lifespan of your bits by fighting wear and breakage while the 135° split points limit slips and walking. The size range is from 1/16, 1/4 to 1/64 intervals. It has a special base that delivers sure grip for drill chucks and prevents the bits from slipping or spinning during the application. 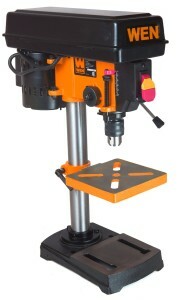 WEN 4288 Cast Iron Bench Grinder Pedestal Stand has an independent surface to attach your tool. WEN 4288 is made of heavy cast iron and steel design that limits vibration while providing a strong 31.5 inch pedestal for your grinder to rest on. It also comes with a water container for quenching workpieces and a reliable 3-legged design with bolt holes for fastening your stand to the floor. 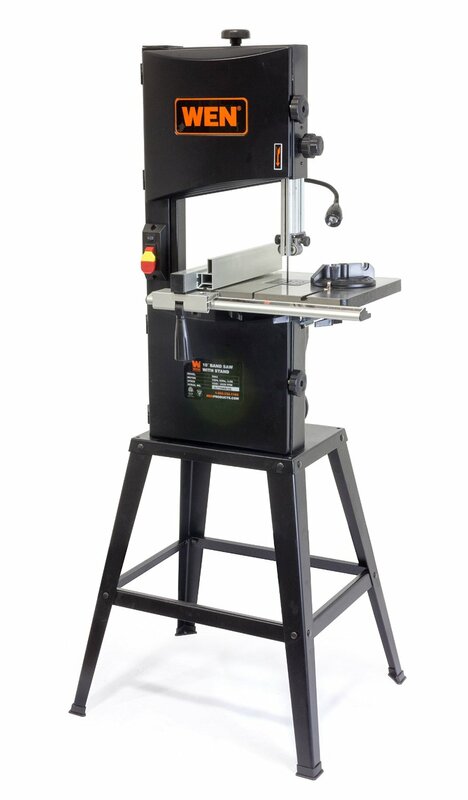 It has 9.9 by 12.4 inches cast iron top that is provided with the slots and holes for securely mounting your bench grinder to the stand. 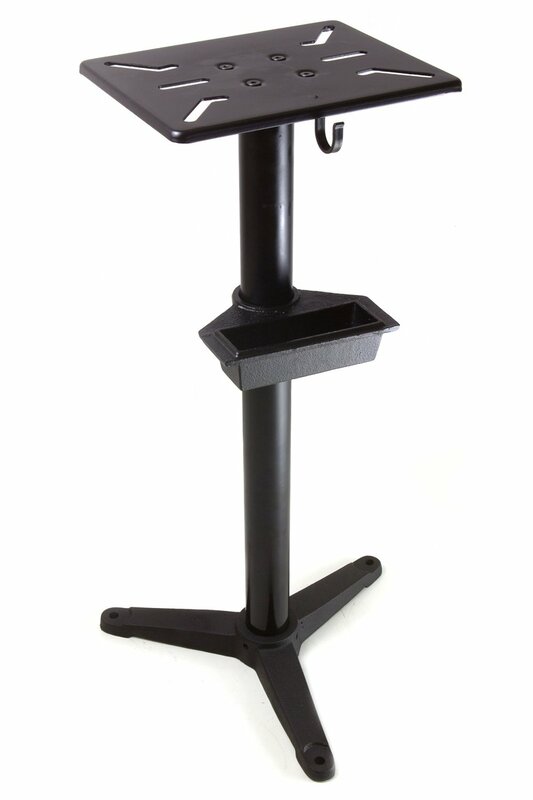 WEN 4288 Cast Iron Bench Grinder Pedestal Stand is made to accommodate the WEN 6-inch bench grinder and WEN 8-inch slow speed bench grinder. 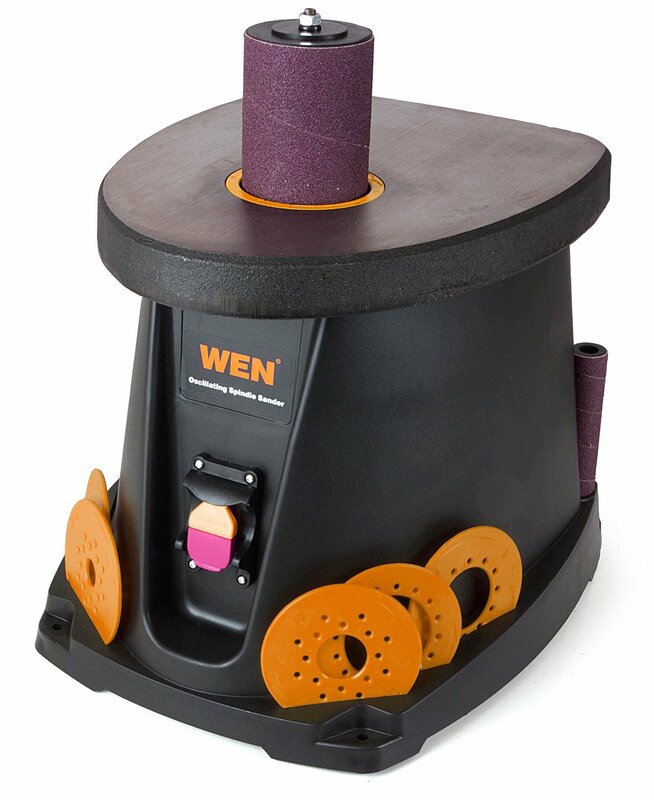 WEN 6510 Oscillating Spindle Sander is a great sanding tool that easily smooths out arcs, curves and odd shapes. It features easy-to-swap plates and drums, and it is built in a lightweight design for easy mobility when required. It weighs approx. 35 pounds but it delivers great result. It has a quiet 3.5 AMP motor and the sanding spindle moves up to 58 oscillations and 2000 rotations/minute with a 5/8 inch stroke. The package comes with 6 sanding sleeve attachment sizes such as 1/2, 3/4, 1, 1-1/2, 2 and 3 inches to meet every situations you face. 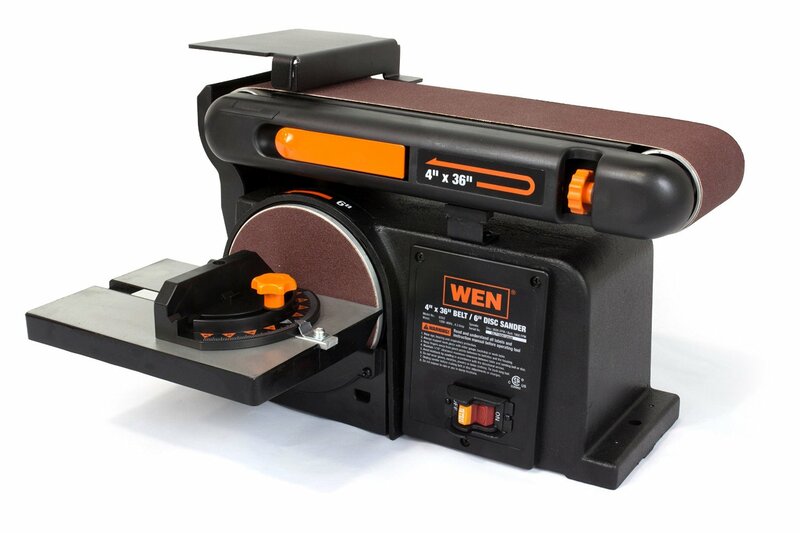 WEN 6510 Oscillating Spindle Sander also comes with an on-board storage that keeps the spindles, sleeves, table inserts and spindle washers organized and they are accessible for quick changes. The dust extractor can be used to collect airborne dust particles to ensure a cleaner working surface and shop so that you can keep working. 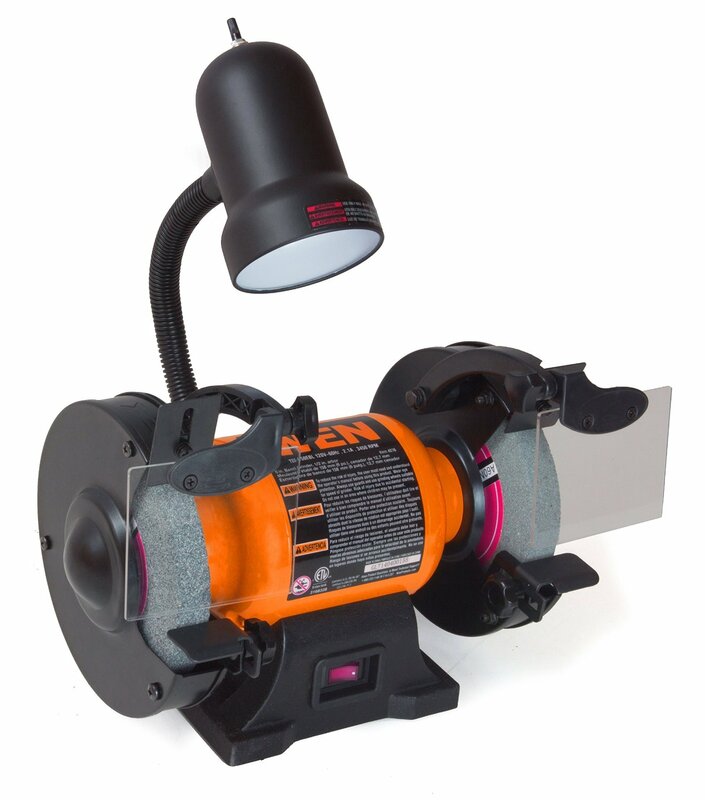 WEN 4276 6-Inch Bench Grinder is a great companion for any workshop. It allows simple resuscitation of dull blades, scissors, screwdrivers and many others. This powerful WEN bench grinder is compact and provides reliability even for the most difficult jobs. WEN 4276 6-Inch Bench Grinder comes with two 6 x 3/4 inches wheels (60-grit wheel and 36-grit wheel). It features a silent 2.1 AMP motor with quick start-ups capability, smooth performance and steady speeds of 3450 RPM.